Are you sick of unsolicited calls and SMSes from people trying to sell you something? Help is on the way thanks to the National Consumer Commission’s (NCC’s) proposed opt-out registry that allows consumers to sign up to prevent direct marketers from contacting them. But the Direct Marketing Association of South Africa (DMA), the industry body for direct marketers, has expressed an interest in running the registry for the commission, which has outraged some members of corporate SA. The DMA’s members include people who fill up your e-mail and SMS inboxes with messages you probably don’t want. They argue that the association should not be allowed to run the opt-out registry as there is a direct conflict of interest. They say the current opt-out registry, which the association runs on its own accord, was allegedly leaked in May to non-members, exposing registered consumers to identity theft. He said the association has an interest in making it as difficult as possible for people to sign up. Joe Botha, CEO of TrustFabric.com, said that operating the national opt-out registry is a great responsibility. Stakeholders argue that the alleged leaking of the association’s registry earlier this year illustrates the fact that it is unsuitable to run the opt-out registry. ITWeb reported on the alleged leak, stating that the details of 39 000 registered consumers had been compromised. The allegations occurred at the time the consumer commission was evaluating expressions of interest from parties to run the opt-out registry. Mdluli denied that there would be any conflict if the association were to run the registry, saying it would ensure its members stick to a code of best practice. According to the Government Gazette published on July 8, three parties — the association, Stephen Logan Attorneys and Deloitte Consulting — expressed interest in running the registry for the consumer commission. Some stakeholders argue that the commission should put the registry out to tender because it has, up to now, called only for expressions of interest and for public comment on its call for expression of interest, setting a deadline of 29 July for them to be submitted. National consumer commissioner Mamodupi Mohlala said the commission is still in the process of identifying the preferred service provider. 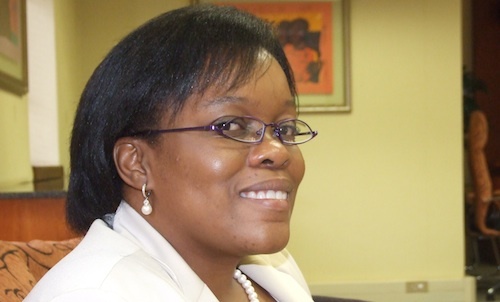 “The advertisement that was placed in the Sunday Independent was to indicate that if there are members of the public who believe it would be inappropriate to appoint the DMA they are being given an opportunity to engage with the NCC on this point and make submissions as per the notice in the Government Gazette,” she said.